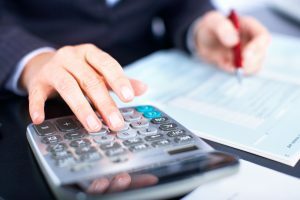 Business Owners often have much more complicated taxes than the average person, and many utilize the services of an accountant. Of course, an accountant can save you time and money while keeping your sanity in tact. But a trusted accountant can, and should, fulfill two additional roles for a business owner: be a trusted business adviser & partner in creating separation between personal and business assets. An accountant already knows your business’s financials and could have suggestions about how to manage your cash flow better, increase your sales, and help you plan for growth. Additionally, for sole proprietors and start ups, an accountant can be especially valuable in keeping personal and business expenses organized. An accountant should be consulted to determine if creating a corporate entity would be appropriate to protect personal assets. If this article has you thinking that maybe you need to look into an accountant, or you haven’t been pleased with the accountant you have, you can find potential candidates through your local chamber of commerce, or small business association. Once you have a few candidates, you’ll need to interview them. Where did you go to school? | What are your credentials? | What trade organizations are you involved in? | How many years have you been practicing? What is your experience with small business?– Small businesses have ever changing and sometimes complex accounting needs. By having an accountant to understands these complexities could make a significant difference in the long run. You’ll also want to see if the candidate has experience with the particular structure of your business- LLC, Partnership, Sole Proprietor- since there are different regulations for each. Do you have experience in my industry? – Although helpful, this is not necessarily a deciding factor. There are accountants that specialize in a particular industry, such as real estate, or construction. If you feel strongly about having an accountant in your industry, talk to your industry network or industry associations for referrals. Do you do more than tax preparation?– Depending on your circumstances, all you could need is help filing taxes. But if you are looking for a long-term strategic partner, who can help you with your finances, and plan for growth, be sure to ask about customizing your services to fit your needs as you progress. Who would I be working with?– If you are looking for a long term partner, with whom you build a one on one relationship, the size of the firm matters. Smaller firms, with the owner or partner handles most of the work, would allow you to build that advisory relationship directly. For business owners looking for that kind of relationship, a small firm may be a good option. Larger firms may not offer you the option to work with a lead partner. Having an great accountant, whom you trust to give you honest advice as you build your business, can make a significant difference in the financial health and potential growth of your business. Take your time in making your choice.